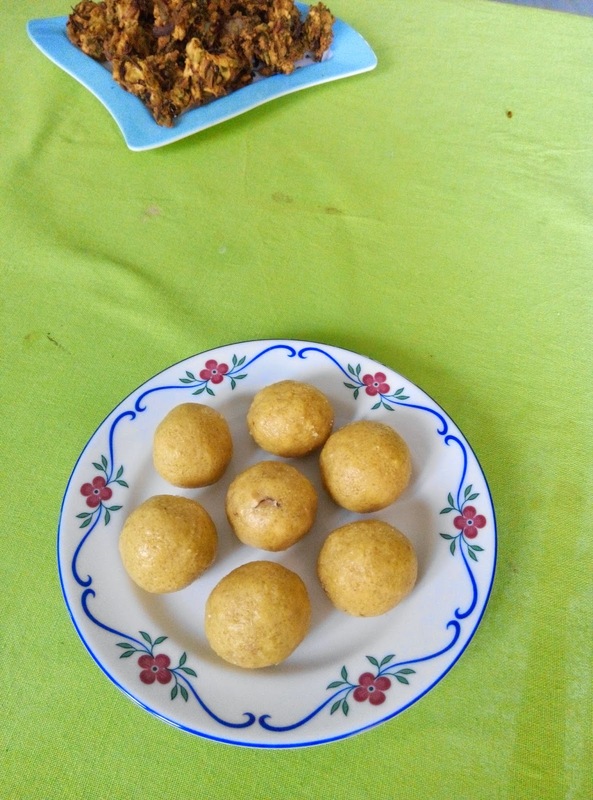 Besan ladoo is one of the most popular sweet all over India. Normally it is made during diwali festival. But I love it so make it whenever wish to. It needs very less ingredients and takes very less time to make. Of course delightful. Heat ghee in a kadai. Add besan and roast it till it starts releasing ghee or till the besan leaves the raw smell. If we do not roast till such time it gives raw taste and smell which is not pleasant taste. Roast the besan in low flame and keep roasting it do not leave it. Keep it aside. Powder sugar along with two or three cardamoms. Add this powdered sugar to the above roasted besan. Mix well. Heat ghee in a small bowl add cashew nuts and fry them till they turn light brown color. Add them to the above besan sugar mix. Mix it well. Make ladoos of our choice of size. I normally make small ladoos which are easy to eat. 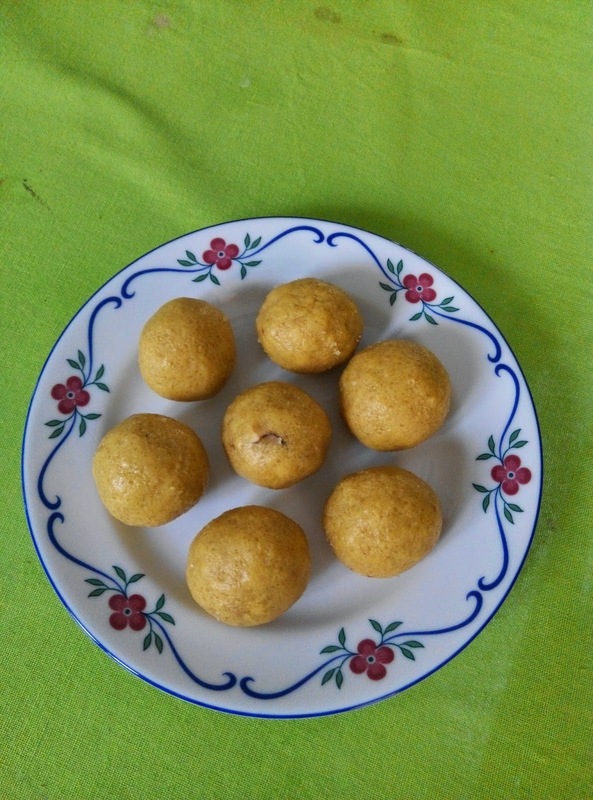 Take melted ghee in a small bowl to wet the hands with it, so that the ladoos look more shiny and also it will help to tighten the ladoos easily. Have them to satiate your sweet tooth.